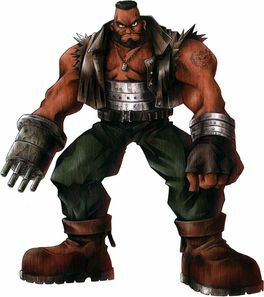 Character information for Barret Wallace, a protagonist of Final Fantasy VII. Included are his background, stats, and limit breaks. 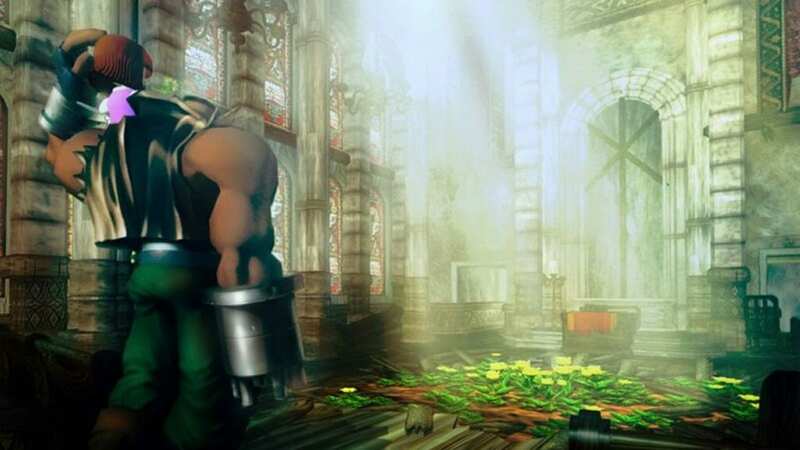 Barret Wallace, leader of the anti-Shinra rebel group, AVALANCHE and bitter enemy of the Shinra Electric Power Company. He grew up in the mining town of North Corel, where he was involved in a decision to have the town switch from mining coal to using Mako energy. He did this despite protests of his childhood friend, Dyne. The decision turned out to be a tragic one, Barret losing his arm and his friend after they were attacked by Shinra. Following the incident, Barret had an operation to have his arm replaced with a gun and adopted Dyne’s orphaned daughter Marlene. He couldn’t find the answers he was seeking in Corel, so then he traveled to Cosmo Canyon. Here, he learned about the harm of the Shinra and their Mako reactors were inflicting upon the planet. He eventually ends up in the Midgar slums; in command of a rebel group fighting back against Shinra called, AVALANCHE. In the previous Final Fantasy titles, the warrior is a job for characters that have great physical attributes, but ow dexterity and limited to no magic attribute at all. Barret corresponds well to this characterization. Catastrophe 4 10 attacks on random enemies Save North Corel from the runaway train and a lady in a hut at the top of the town will give the manual to you.